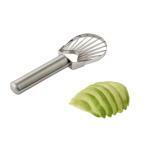 Food preparation is made simple with the proper chop, core, dice, slice, wedge, and fry cutter implements. You'll find that we carry a diverse range of chopping, coring, dicing, slicing, wedging, and cutting equipment to suit all of your commercial kitchen needs. Choose from products like choppers, fry cutters, flowering onion cutters, lettuce choppers and shredders, tomato slicers, pressers, cheese slicers, dicers, and a variety of blades and accessories. We can supply you with everything your restaurant needs and more. Here you will find a great selection of fry cutters. These sturdy convenient units come in horizontal and vertical models, and manual pusher or hopper styles. 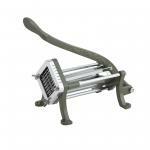 Browse our great selection of tomato and soft fruit and vegetable slicers. 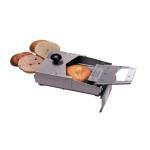 These specialty slicers are designed specifically to handle soft skinned produce. Here you will find our pick of food prep brushes. 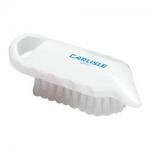 These plastic and poly food prep brushes are perfect for cleaning produce such as carrots, potatoes and more! Here you will find a wonderful selection of fruit and vegetable slicers and corers. Sharp stainless blades slice through fruits and vegetables with ease! 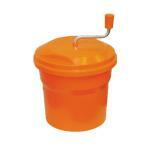 Here you will find a great selection of fruit and vegetable dicers. 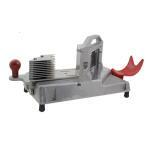 We offer manual guillotine and wall mounted dicers with interchangeable accessories. Browse our great selection of potatoes and vegetable peelers. 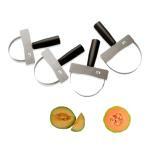 These sturdy hand held and bench style peelers work for a variety of produce, even melons!